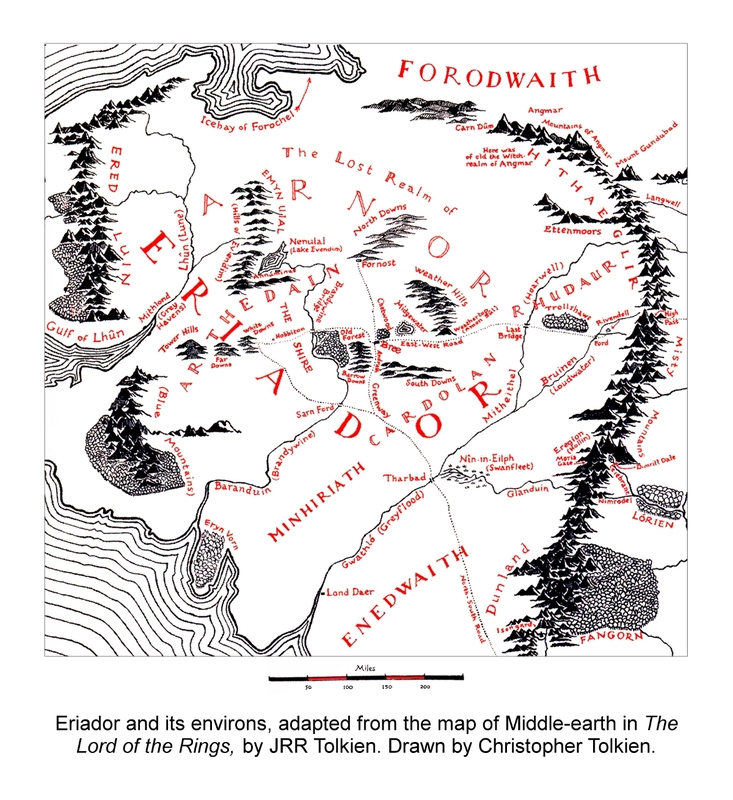 Location: The large region of Middle-earth between the Blue Mountains (Ered Luin) on the west and the Misty Mountains on the east, north of the Rivers Gwathló (Greyflood) and Glanduin. 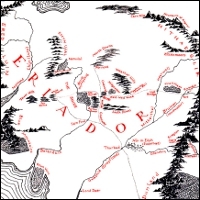 At its greatest Arnor included all Eriador, except the regions beyond the Lune, and the lands east of Greyflood and Loudwater, in which lay Rivendell and Hollin. Beyond the Lune was Elvish country, green and quiet, where no Men went; but Dwarves dwelt, and still dwell, in the east side of the Blue Mountains, especially in those parts south of the Gulf of Lune, where they have mines that are still in use. For this reason they were accustomed to pass east along the Great Road, as they had done for long years before we came to the Shire. At first [Thorin's company] had passed through hobbit-lands, a wild respectable country inhabited by decent folk, with good roads, an inn or two, and now and then a dwarf or a farmer ambling by on business. Then they came to lands where people spoke strangely, and sang songs Bilbo had never heard before. Now they had gone on far into the Lone-lands, where there were no people left, no inns, and the roads grew steadily worse. er 'one, alone', in Amon Ereb (cf. Erebor, the Lonely Mountain), Erchamion, Eressëa, Eru.